Driving with Uber - can you make a living off of it? The quick answer is yes, you can. Although most people probably want their $80K a year salary with dental insurance that working for Uber as a software engineer provides. Driving with Uber however, is a a blue collar job, a job that doesn't offer any benefits whatsoever apart from the occasional trip that takes you to the side of town that you've never been to (I'll give you a hint - roll your windows up and lock the doors), but it can be rewarding in other ways - mostly financial, to people who otherwise would be working the register at the local Walmart. Elaborating on the initial question, yes, you can make a living off of it. And quite a good one at that. I personally know people who make up to $1,500.00 a week driving only with Uber in Chicago - a city which imposes a 10-hour driving limit within a 24-hour period for all of its rideshare drivers (that includes Lyft and Via). That of course means a 60-hour + workweek, but they rarely exceed it. In other words, driving with Uber can yield financial results, but only if you put hours into it - just any other job out there, unless you're the kind of person that snaps at customers because your life is miserable while working the register at Walmart. The other thing you might ask about are car expenses. The main point of Uber is driving with a car that you already have, but even if you finance a car for the sole purpose of driving with Uber, or any rideshare companies that exist, a $350 a month car payment along with $200 monthly for insurance and $250 for gas (numbers which I deliberately exaggerated) only equates to $800 total in expenses, which still gives you around $4K a month to pay your mortgage and your kids' school tuition. 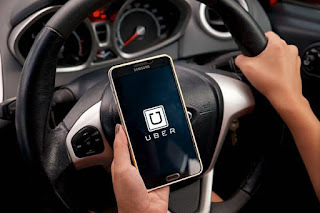 The question which you have to ask yourself, is whether driving with Uber is good for you - if you like slacking off at work, hiding from your supervisor while still getting paid your local minimum wage, you won't like it. But if you're motivated, you can make quite a good living. If you want to sign up as to be an Uber driver, please do so by clicking here and you can make $500 guaranteed!